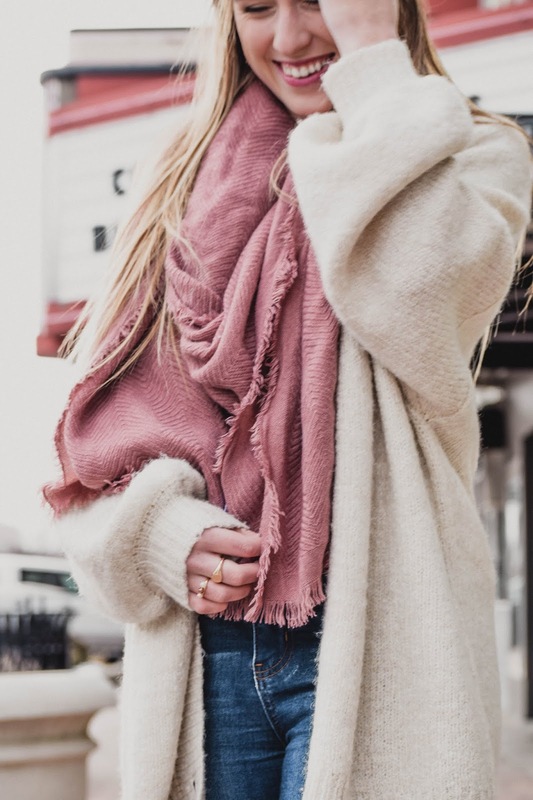 Pink blanket scarf | Oversized button cardigan | White v-neck tee | Similar high-waisted jeans | Similar taupe booties | Madewell bandana | Gold signet ring | Madewell triple pearl ring | Fresh sugar tinted lip treatment in "Berry"
Y'all, the sun has been shining this week, and your girl could not be happier! I don't like cold weather to begin with, so it was so nice to come home from spring break and see that Kansas' weather was on somewhat of the same page as me. 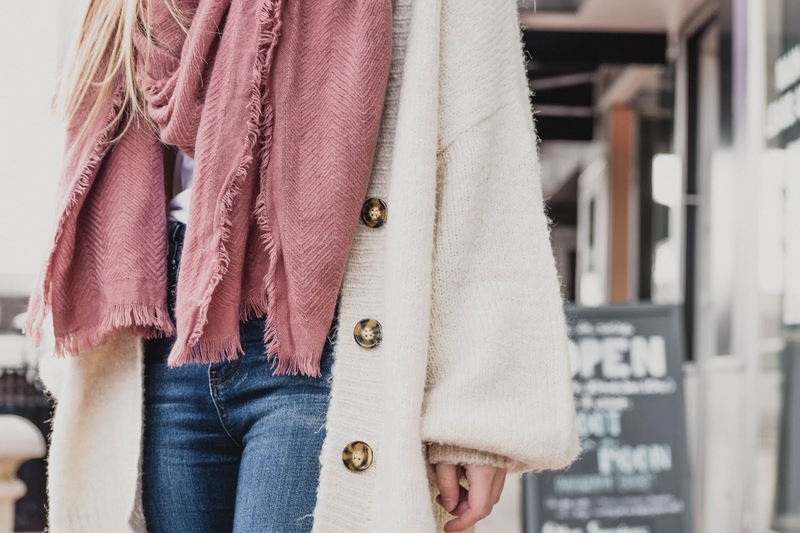 With spring well on its way, I thought I'd share with y'all this cozy transitional look. 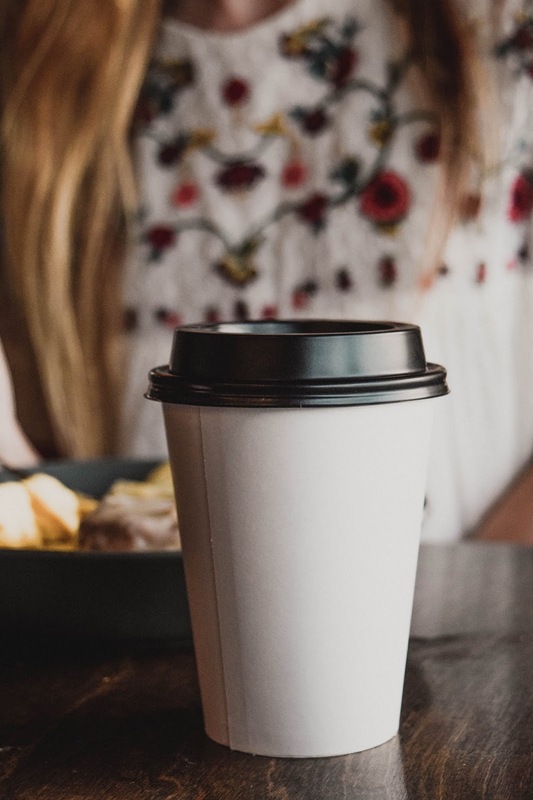 The mornings can still be awful chilly, so layers are vital this time of year. But, we can still start incorporating a few lighter colors that are fitting for the season! 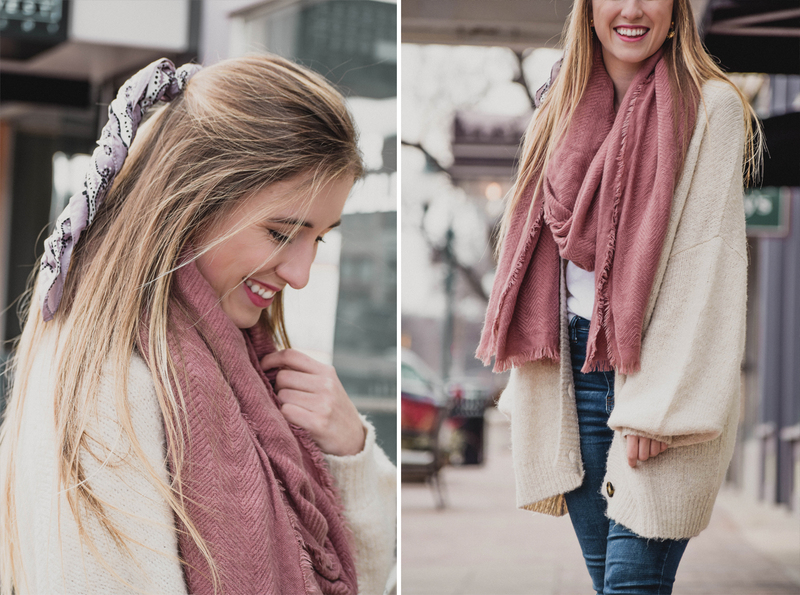 Scarves have been a longtime favorite of mine when it's cool outside, and this rose-colored one is beautiful for the springtime. 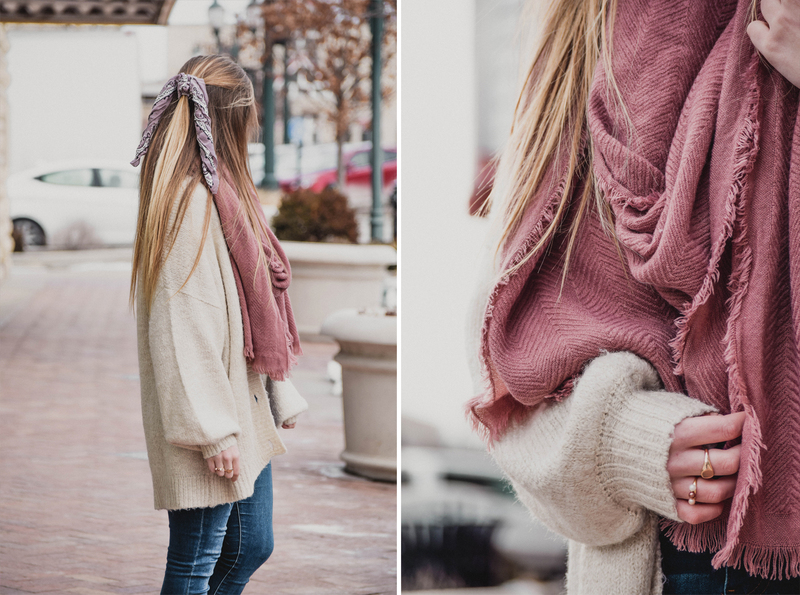 Not only is it a pretty muted shade of pink but it also has a bit of texture that I love. I should note that this scarf is huge, though. If I don't wrap it around my neck like I did in these photos, it hangs down past my knees, which just isn't cute with my height haha! 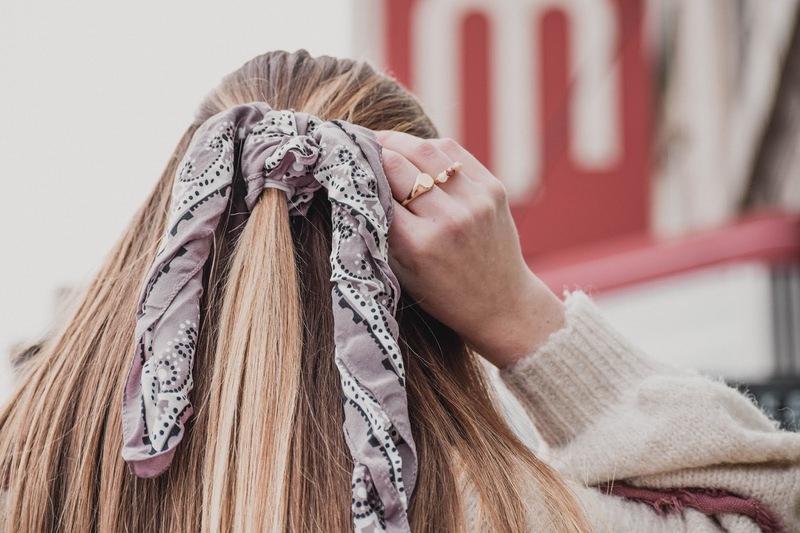 Also, as probably everyone and their mother knows, hair scarves are a huge trend this season, and these silk bandanas from Madewell are the best! My go-to on a bad hair day is putting my hair half up and tying a scarf in it, but what I love so much about Madewell's bandanas is that they're not just for hair. During the fall, I tied one around my neck, and I think it would be a darling look for spring, too! I hope everyone is enjoying the warmer weather and getting back into the swing of things if you just got done with spring break like myself. Personally, I feel like I've had the most unproductive week imaginable, and I definitely thought yesterday was Monday for a minute! Anyways, enjoy your Thursday, and I'll be back tomorrow with a long overdue set of Friday favorites!